Cheese must be kept refrigerated. Product contains milk and wheat. Produced in a facility that also processes soy, egg, peanuts, and tree nuts (pecans, almonds, coconut, cashews, walnut). A reusable basket packed with gourmet goodness. 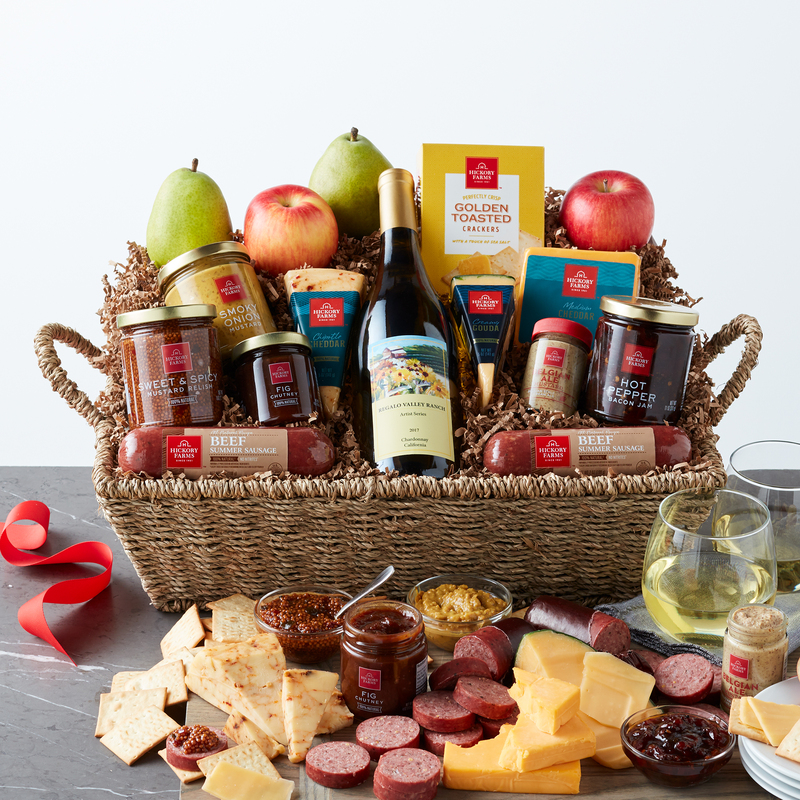 This gift includes two 100% All-Natural Beef Summer Sausages without any added hormones or nitrites, naturally aged Creamy Gouda and Medium Cheddar, Chipotle Cheddar, Golden Toasted Crackers, a variety of jams and mustards, a refreshing Regalo Valley Chardonnay, and a combination of mouthwatering fruits. A gift with simple ingredients and great flavor will be sure to please everyone.